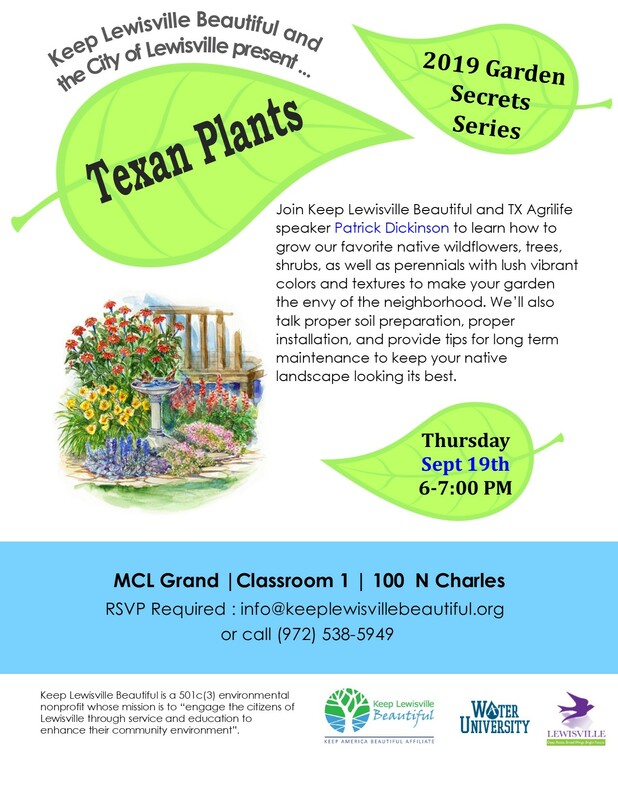 Learn valuable garden secrets through our educational gardening class series: Garden Secrets. 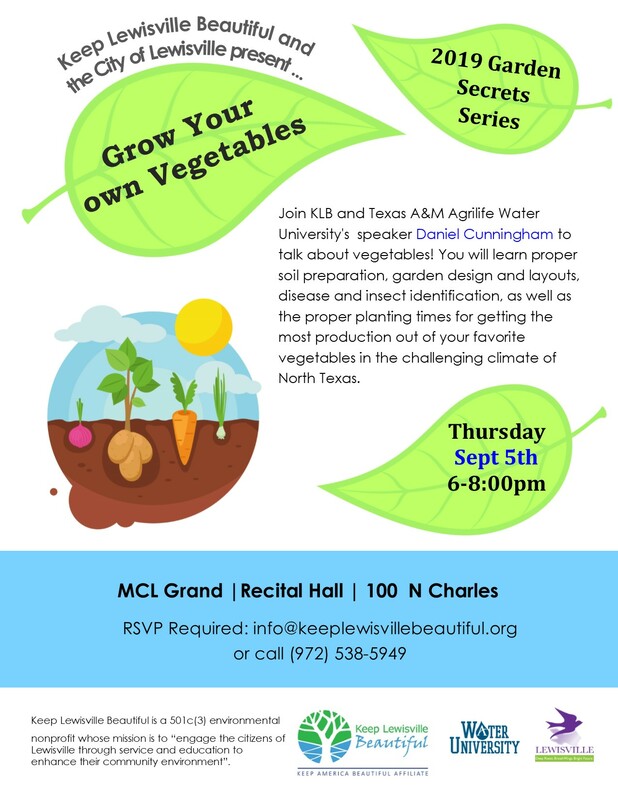 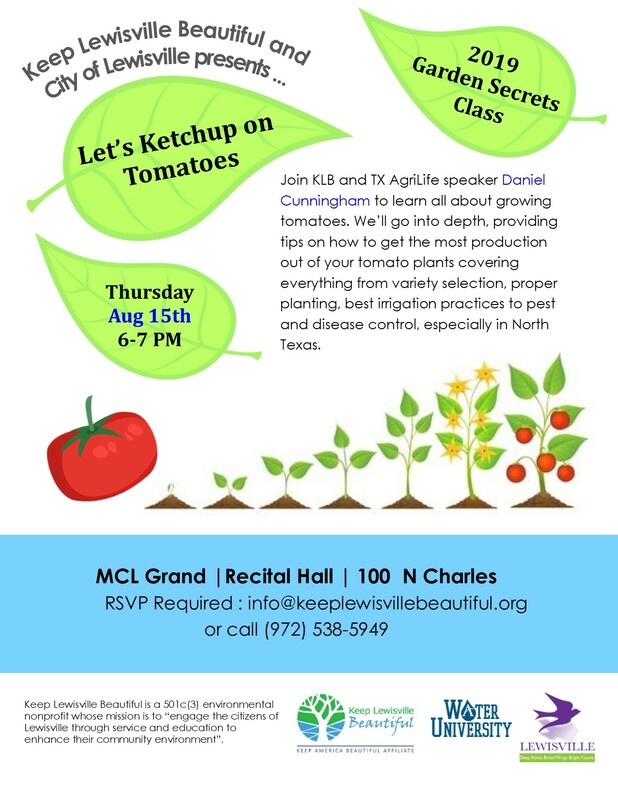 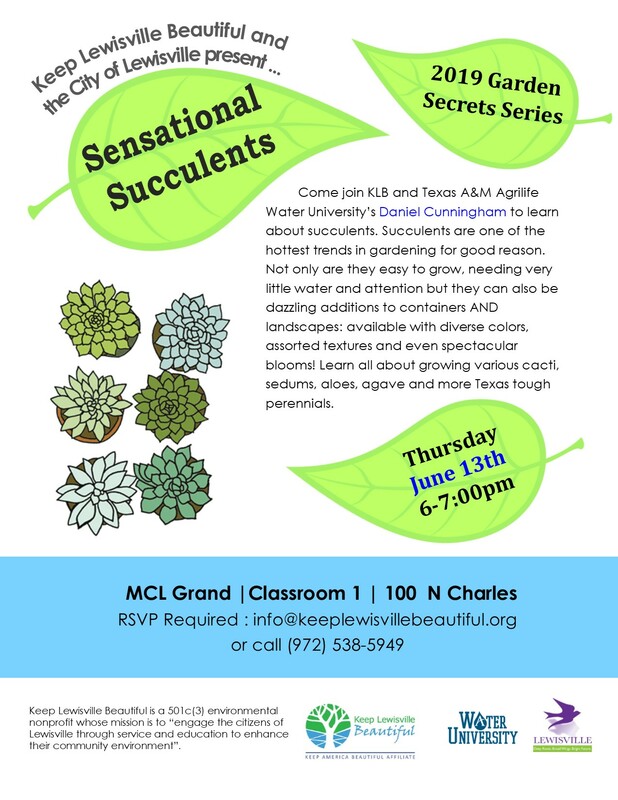 Each month Keep Lewisville Beautiful holds a FREE Gardening class at the MCL Grand (100 N. Charles Street Lewisville, Texas 75057 in classroom 1) from 6-8pm. 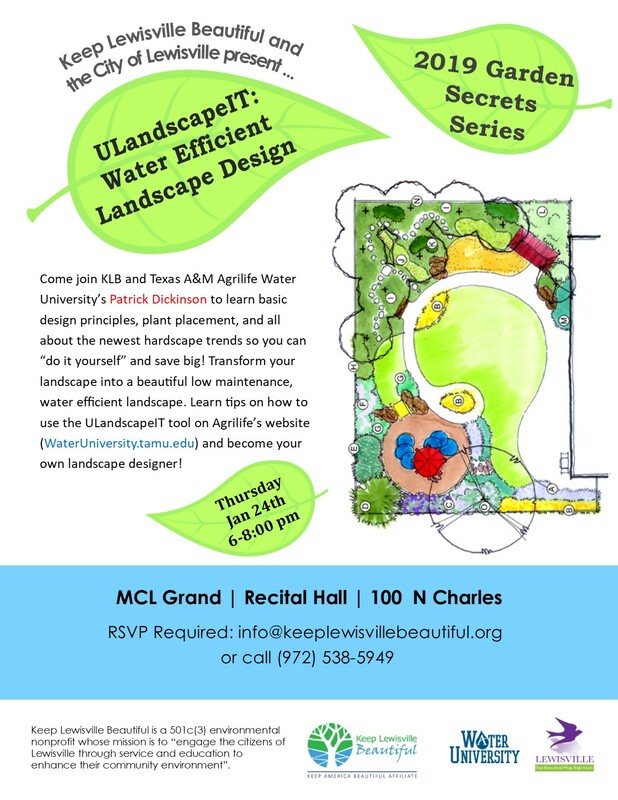 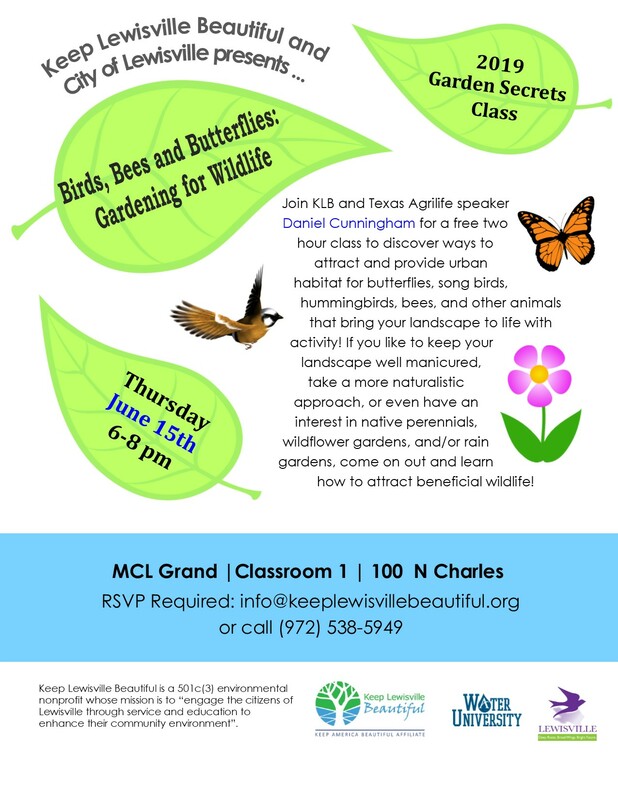 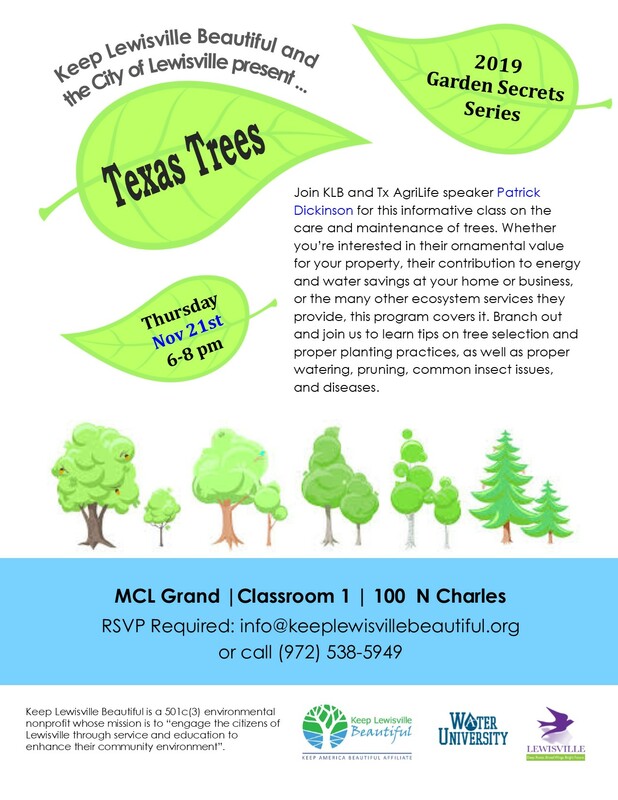 For more information about upcoming classes, to register your seat, or to volunteer as a speaker, please email info@keeplewisvillebeautiful.org or call 972-538-5949. 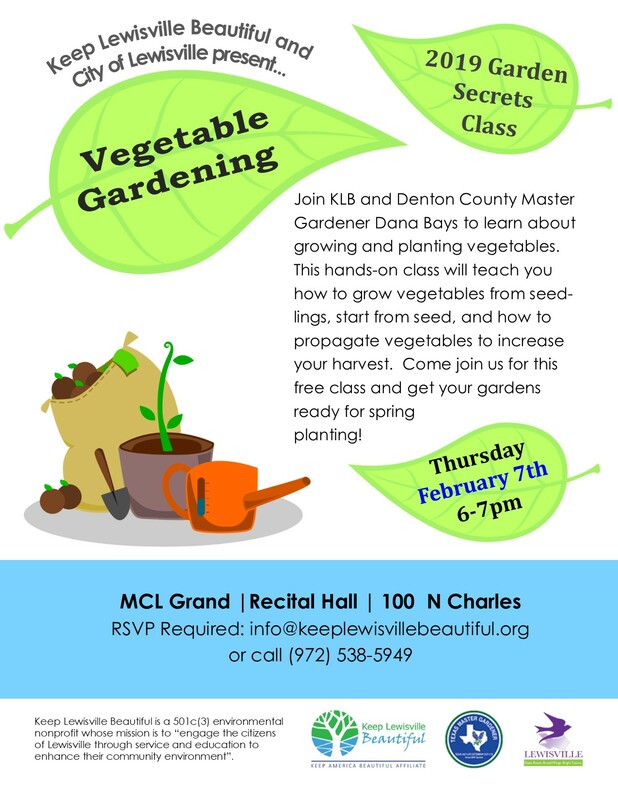 Click on the links below to see upcoming 2019 Garden Secrets classes and flyers. 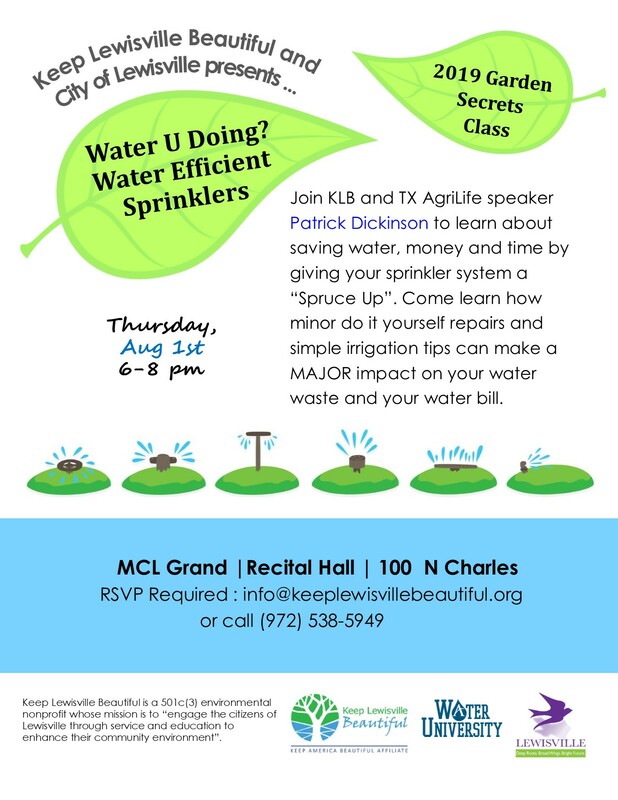 You can also check our online calendar for upcoming classes by clicking HERE. 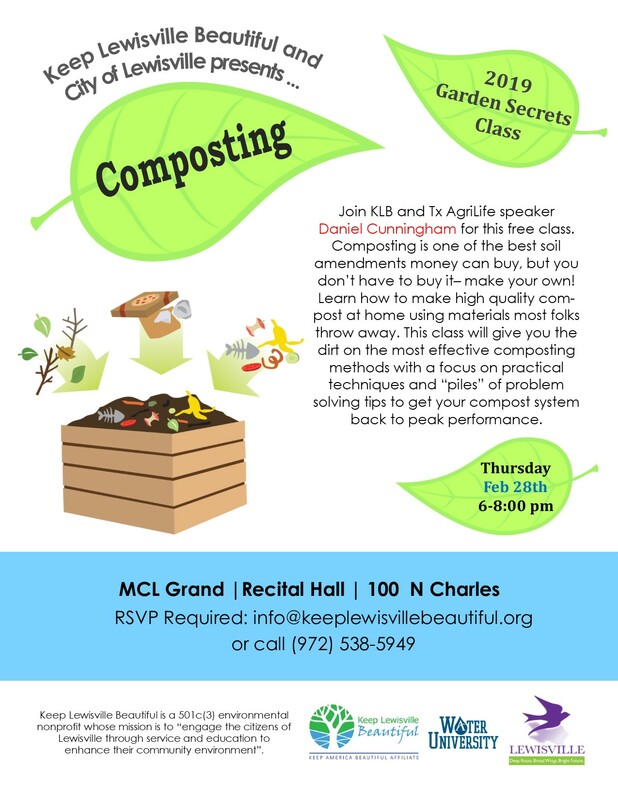 Please note that registration is required for each class. 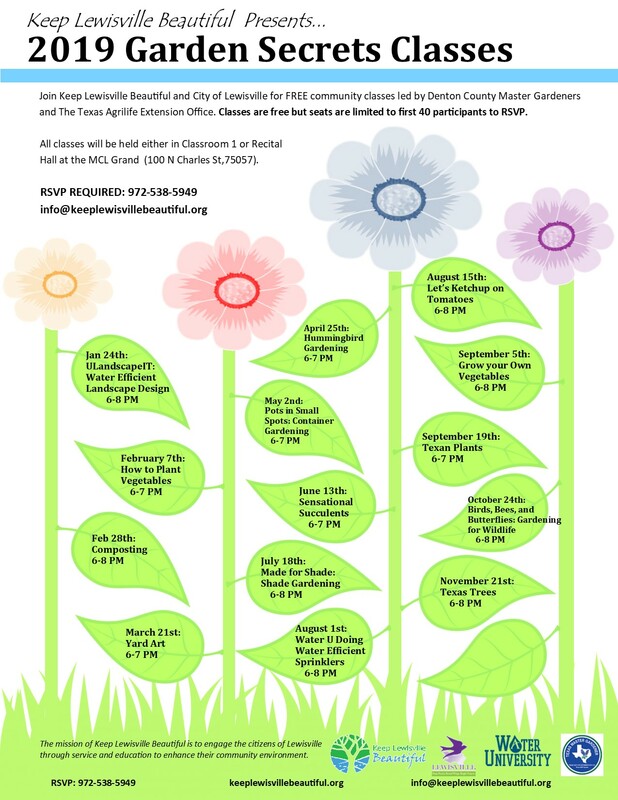 Classes are open to all community members (residency not required) and all ages are welcome. 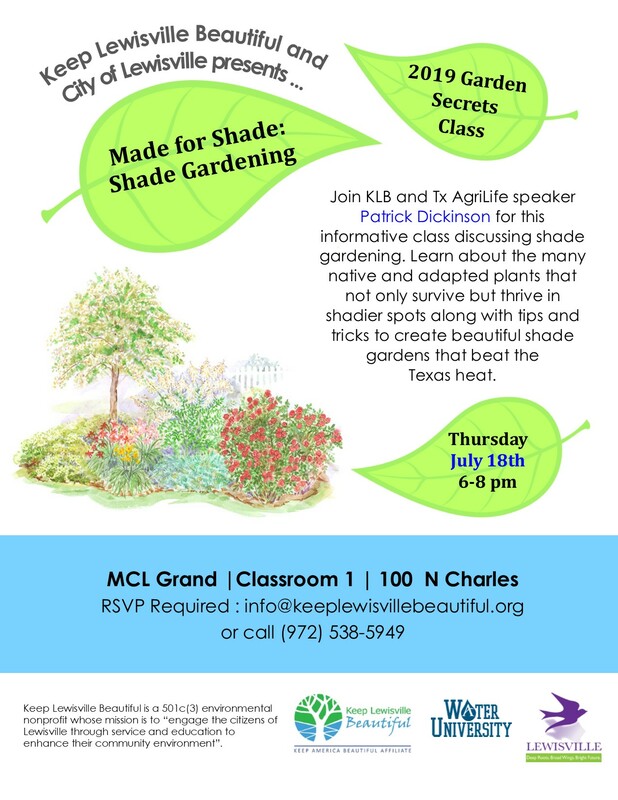 All classes are free, but donations help us grow! 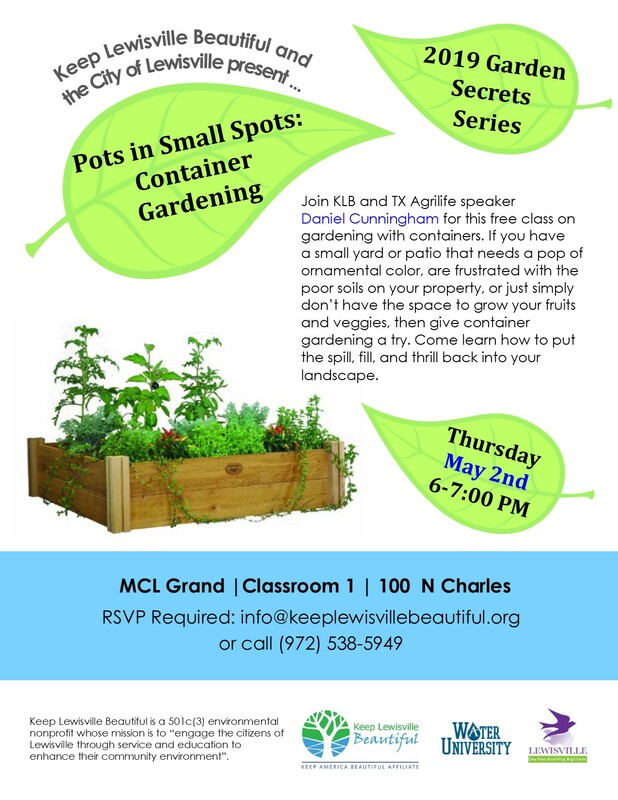 If you enjoy our programming, please consider donating to help sustain our gardening series.